Not our usual style, but a delicious and striking request from a smartie and chocolate finger loving customer! (Topper provided by customer). Other sweeties possible! 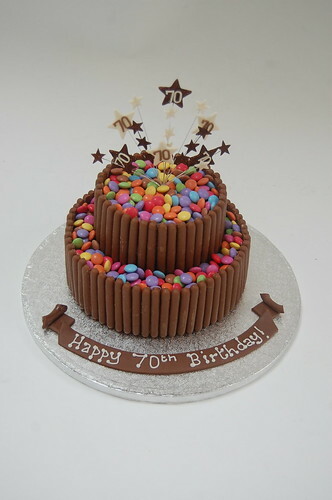 The Smarties and Chocolate Finger Cake – from £80.